This is one of the larger units -- 1200 square feet -- newly renovated with fresh paint and carpet. Brand new energy-efficient HVAC and water heater. The galley kitchen features brand new Kenmore appliances! Whether you want to call this place home or have a great investment property (rentals range from 750-850 a month), this is a super place. Spacious, comfortable, and plenty of storage in this one!! The master bedroom has an en suite bath and large walk-in closet. It even has a patio to relax on! 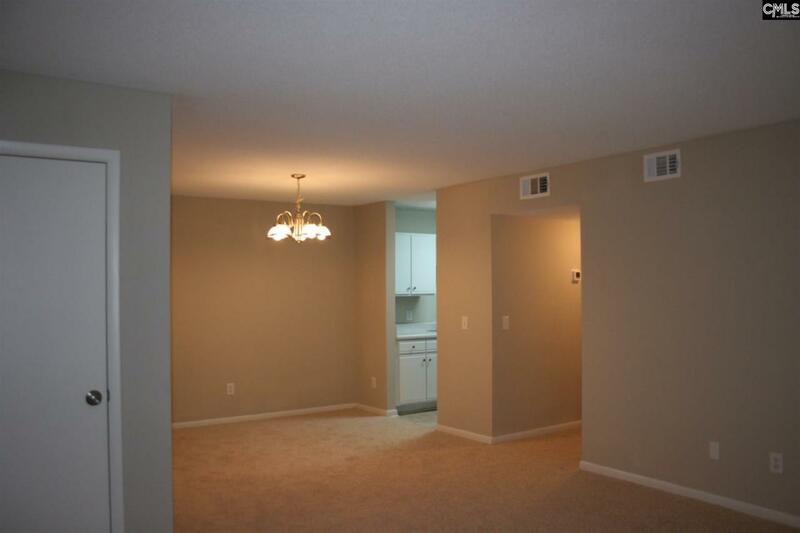 Move-in ready and easily accessible to I-26, downtown, and Harbison. Dues cover water, sewer, trash, exterior maintenance of the building, insurance on buildings, liability on grounds, basic cable, clubhouse, lawn. Please note the seller has never visited or occupied the property and has no knowledge of its condition.